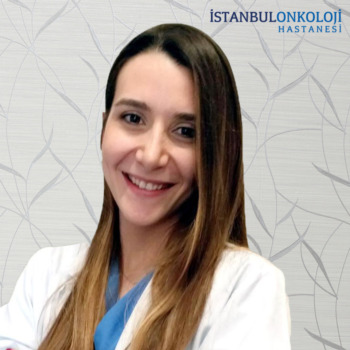 Istanbul Oncology Hospital Department of Nutrition and Diet; It provides individual nutrition programs with adequate amounts of nutritional items that are necessary for your body to maintain, improve your health and improve your quality of life. At the first visit, the nutrition stories of the individuals are taken in detail and then the amount of fat, muscle, and water in the body is determined with the body analyzer and a special nutrition program is organized according to the obtained data and blood findings. Cancer is a disease that results in uncontrolled proliferation of cells in the body. The most important factors that trigger cancer are; Unhealthy diet, excessive fat consumption, excessive weight, and immobility. For this reason, protecting the ideal kiln, making it a healthy lifestyle and regular physical activity will reduce your risk of cancer by 30%. As well as being protected from cancer, nutrition in the cancer process is also very important in terms of positive treatment. Chemotherapy and radiotherapy may cause adverse effects such as loss of appetite, diarrhea, vomiting and weight loss. Your personal nutrition plan will help you get through this process healthier and easier. Scientific studies have shown that adequate and balanced feeding of mothers during pregnancy and lactation; As well as being able to maintain their health for a long time and healthy birth and development of the baby. For this reason, adequate and balanced feeding of the mother during pregnancy is very important in terms of the physical and mental growth and development of the baby in the mother's womb. Breastfeeding is the best nutrition method for baby's healthy growth and development. The increase in the quality of the mother's milk and the adequate nutrition of the baby requires more energy and nutrients for breastfeeding than it is during pregnancy. It is necessary to have a healthy nutrition program so that weight control can be achieved during the mother's breastfeeding period. In this period, nutrition and diet specialists plan your diet in the most healthiest way. The most important step is the diet. Giving and implementing special nutrition education to diabetic people is very important in order to increase the quality of life and to prevent the complications of the disease. In kidney diseases, it is very important that the diet is special to the person. Diet plans should be planned and followed frequently by the dietitian to dial or enter into the kidney function according to the amount of protein needed. Cardiovascular diseases are the first cause of deaths worldwide. In many studies, it has been shown that deaths due to cardiovascular disease can be reduced by positive changes in nutrition. Cardiovascular disease is a health problem that can be cured by changes in diet, lifestyle, medical treatment, nutritional therapy and prevention after being prevented by, or altered by, healthy eating and lifestyle changes.